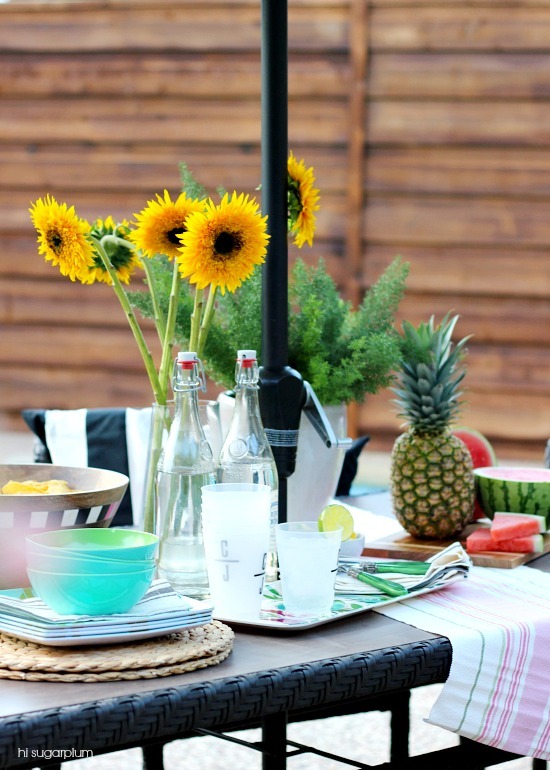 Dining Al Fresco | hi Sugarplum! 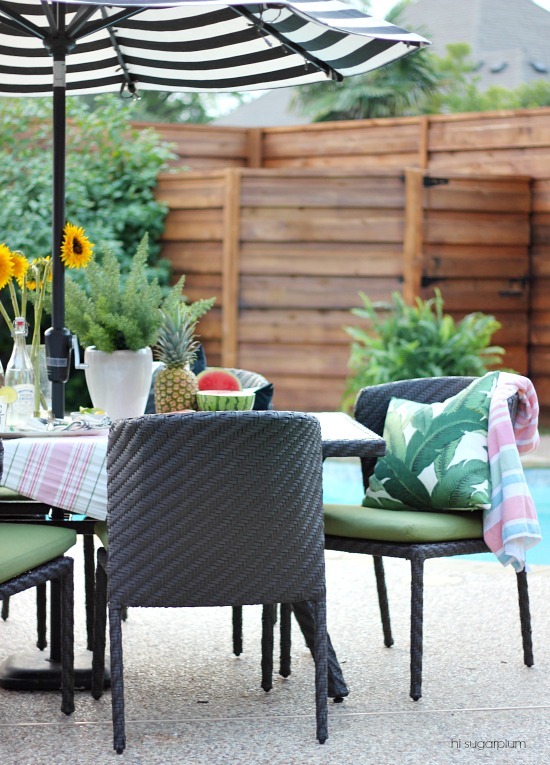 However you prefer to say it, patio dining is a favorite pastime around here, and fortunately, Texas weather offers us plenty of opportunities. Our last outdoor dining set was looking pretty sad after 15 years, and thanks to an unfortunate event involving the glass top and a few clueless teenage boys, we recently got an upgrade. We didn’t waste any time breaking it in, and celebrated our son’s birthday last week with a cookout by the pool. 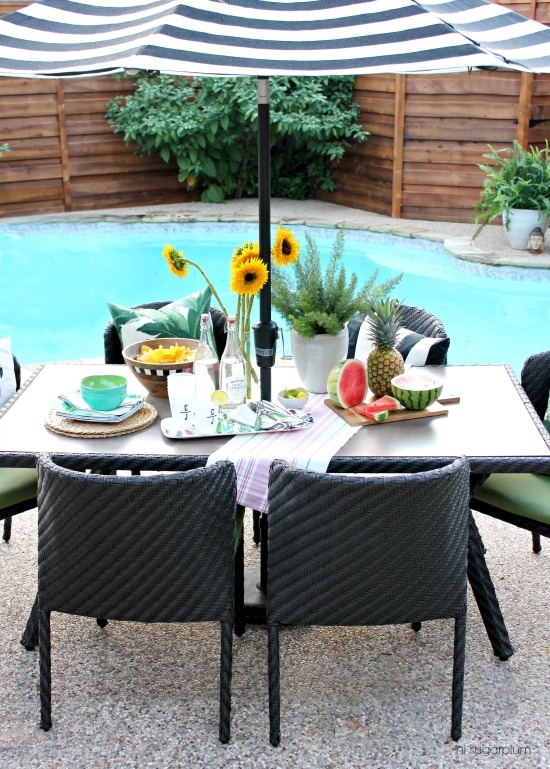 I looked at countless options before deciding on the Elaine 7-Piece Dining Set from AE Outdoor. Texas Summers can be intense, so durability was my first criteria…followed by design, aesthetics, and size. 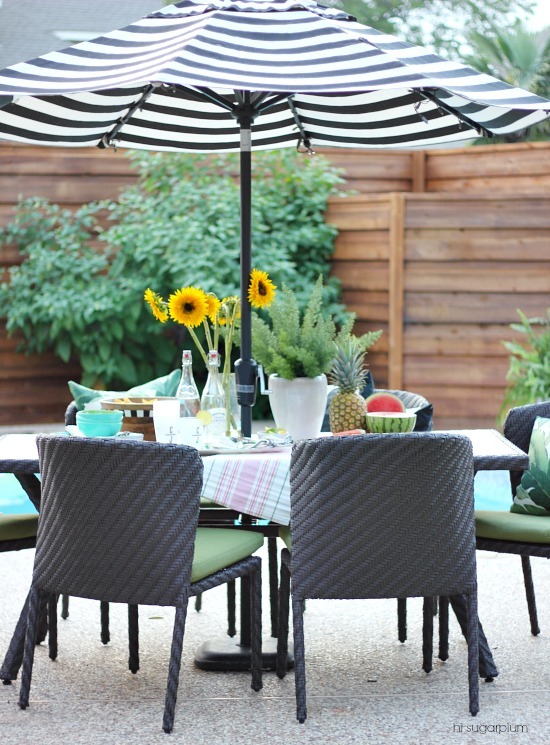 This table and chairs have a rustproof aluminum frame, and high pressure laminate top…both of which can withstand the harshest outdoor conditions. From the design standpoint, I love the low-profile, curved-back chairs, and subtleness of the woven herringbone pattern. And once I saw a sample of the Sunbrella cushion fabric, I was sold! 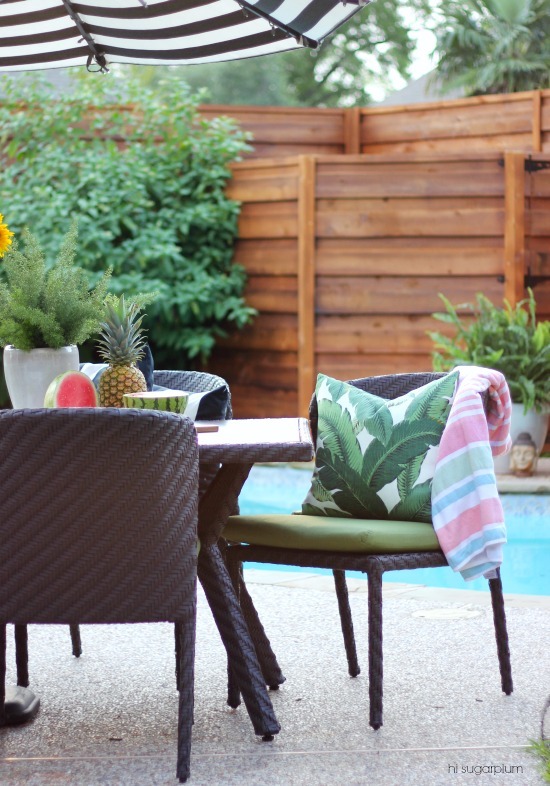 The mossy green perfectly compliments the backyard, and my new outdoor palm print pillows. Entertaining Tip: Let your cutting boards double as serving trays…the wood adds warmth and texture to your table. And, one less dish to wash! 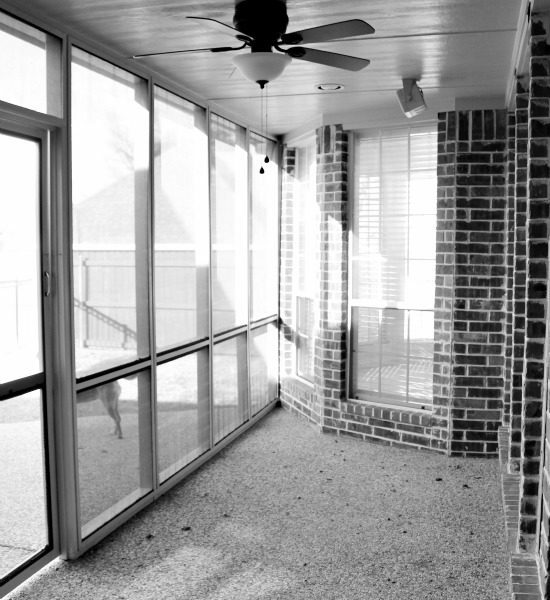 You may remember the umbrella from our last patio…black and white stripes are always a good idea! 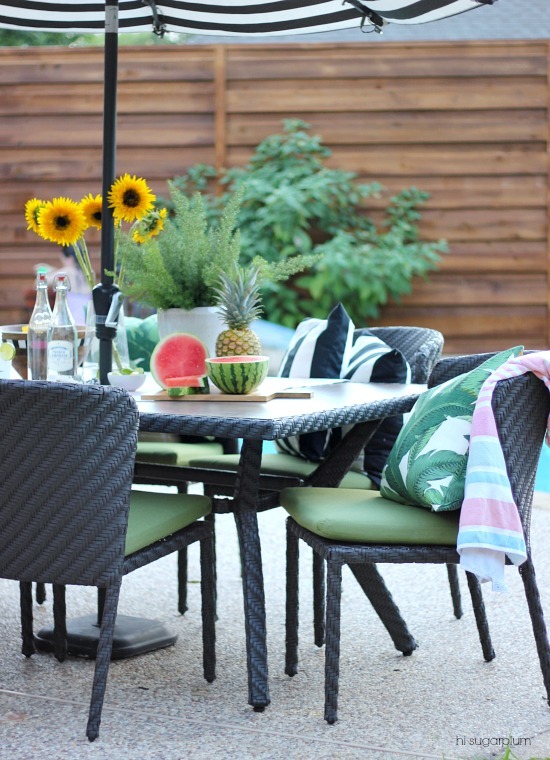 The woven material of the new dining set coordinates perfectly with our existing patio set…I’m working on a little refresh of that, and will show you soon where they end up in the new backyard. 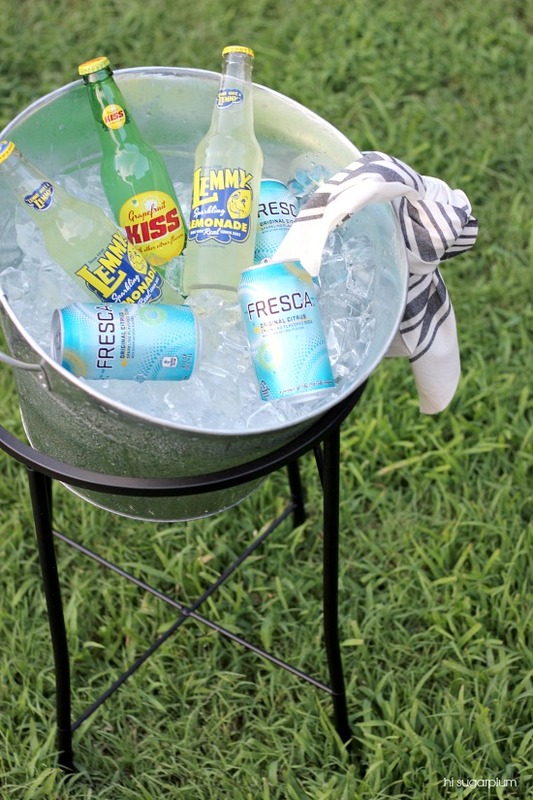 Entertaining Tip: Recycle vintage-looking soda bottles for serving chilled water. With Summer really heating up, I’m constantly reaching for this tee. 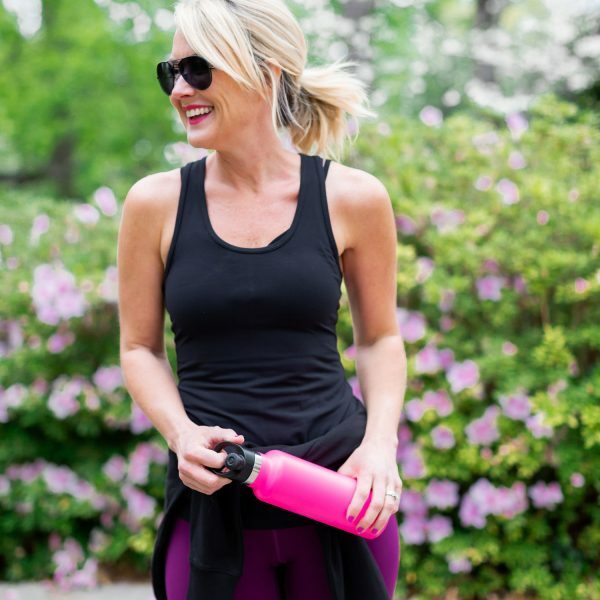 It’s crazy soft and lightweight, yet isn’t sheer and maintains it’s shape. It’s currently on sale, so I’m adding new colors to my collection! And Turkish towels are my latest discovery…they are absorbant, but dry quickly and fold compactly. 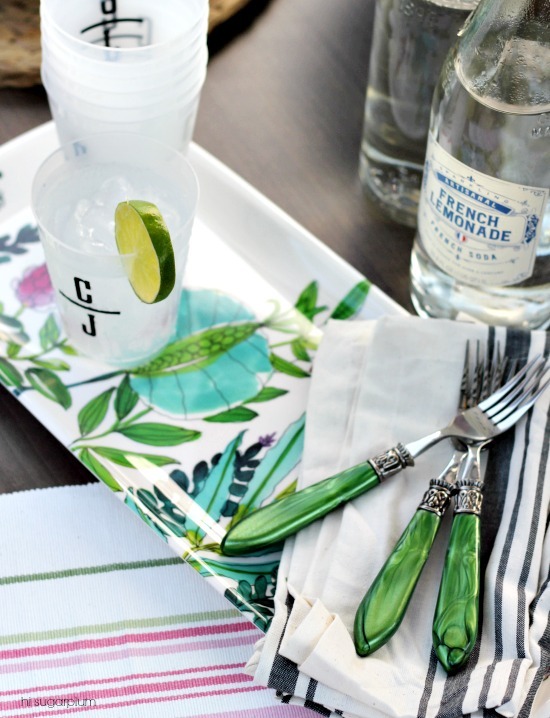 And unlike typical pool/beach towels, the patterns are subtle and chic. 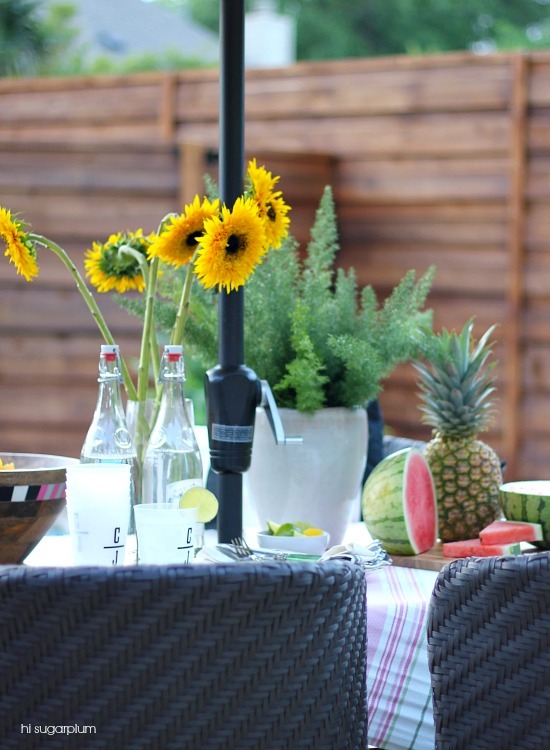 Have you been dining al fresco this Summer? Many items sell-out before the sale even opens to the public July 17, so it’s definitely worth looking in to! I’ve been studying the catalog like it’s my job, so I’ll be posting my picks later this week! Who shops the pre-sale with me? The backyard looks fabulous! We're Texan al fresco diners as well! Hope you're enjoying the summer! 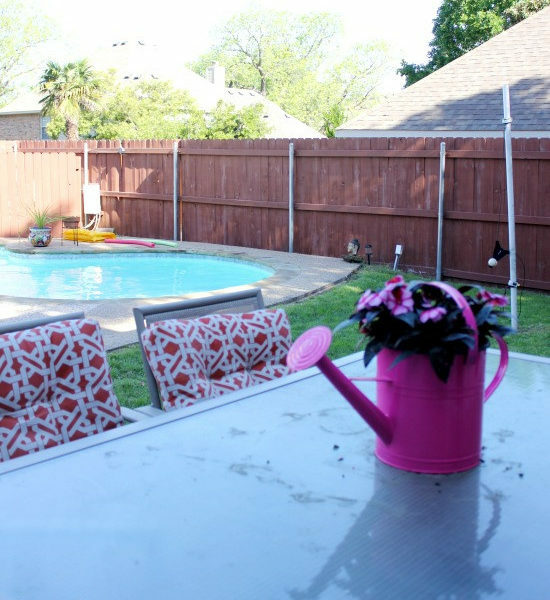 Your backyard looks amazing, Cassie. Love the black and white umbrella and the palm pillow is the perfect complement! What a great place to spend the summer! Love it! 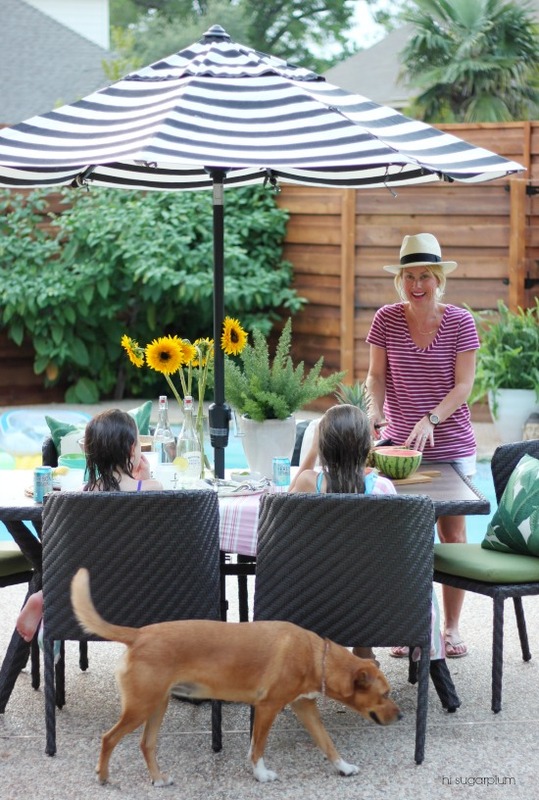 We eat outside a lot since our backyard makeover. Enjoy! Ahh! Thanks for the info about the Nordie anniversary sale. I have a debit card too and thought they would make you pay with the debit – thanks for letting me know I can pay with my credit card! Woot, woot! after YEEEEARS of shopping at Nordstrom, JUST signed up for a credit card just for the presales. do you shop the presale online?? (oh goodie, i can still pay with my amex. i like all my points in one place.) i've been searching high and low for an outdoor dining set. no luck yet, i'll have to check out ae. 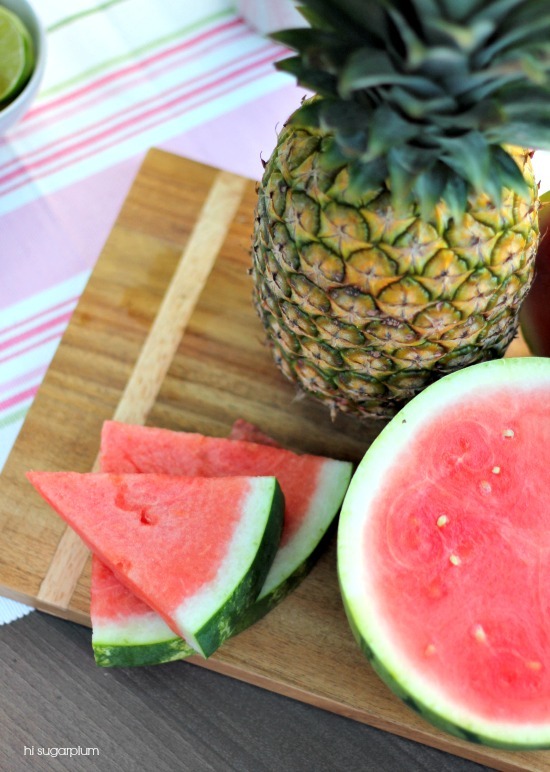 and then… i'll be right over for watermelon…. YES! 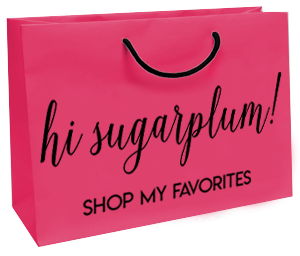 I shop it online…so much more available…and no crowds! Such a great outdoor space! Also, love the tip for re-using vintage-inspired soda bottles to serve water. I have 3 of them that I was just about to get rid of! 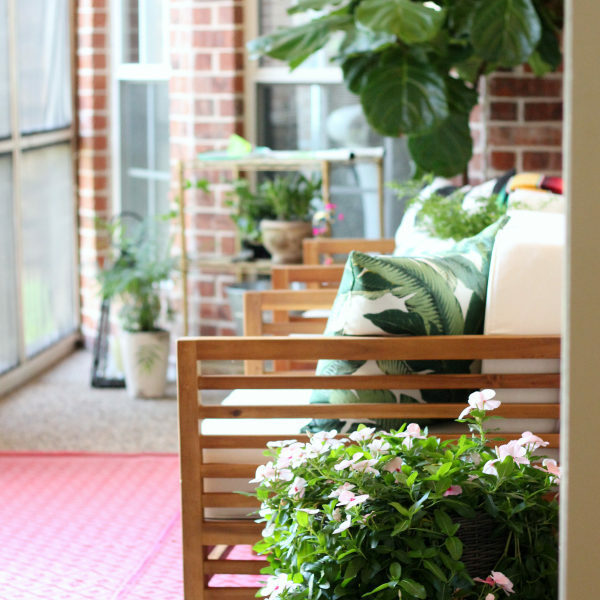 It all looks so inviting and chic! 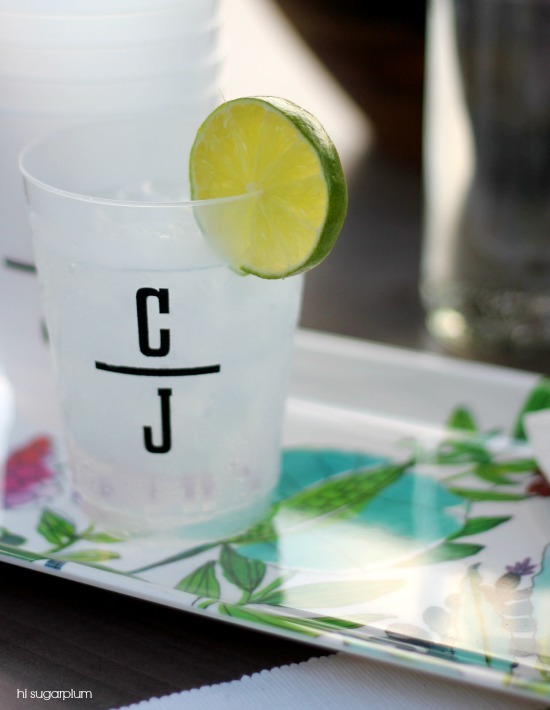 I love those monogrammed cups! Thanks, Michele! It depends on the time of day…but we burn citronella candles and torches, and that helps! It all looks wonderful! I'm off to check out your 'before' now…. STAYCATION !!!! Awesome back yard pool decor!!! Have a great Summer !!! Love the stripes and the cushions, your work with colors and patternas are just so fresh! So when are you having me over? I'd like a nice green salad or maybe chicken salad for lunch. And maybe lemon bars for dessert. 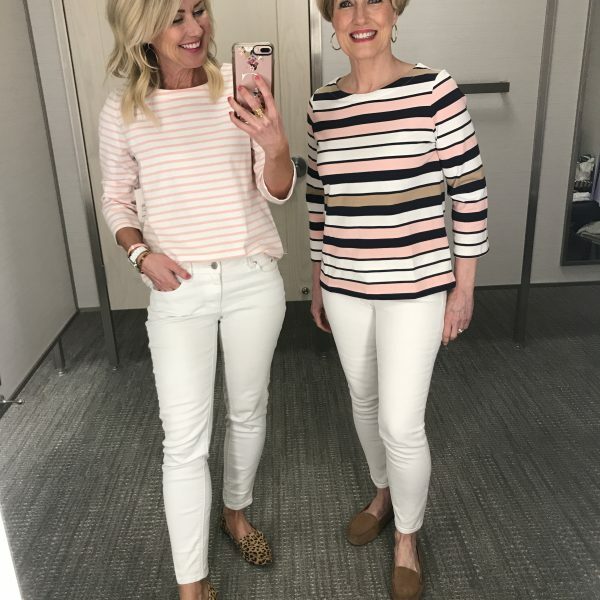 I'm gonna shop it now with ya sista!! thanks for the heads up – I already pay with my debit card. 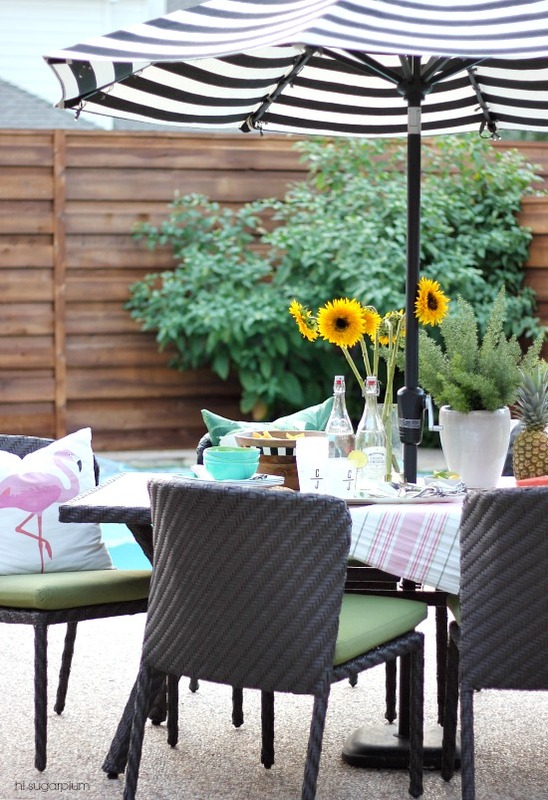 I luv ur outdoor set – I've always liked that wicker look without the fragility of wicker. Look at that awesome back yard and how cute you are:) That fence is AWESOME! Hi there! Just wondering how this set held up over the past year with all of the rain, pollen, and heat that Texas weather brings. We are looking for a set for our deck and this one would fit well, but it needs to withstand everything that the Central Texas elements can throw at it. Thanks! The table, chairs, and table top are good as new! (If I wash them off, anyway!) 😉 The only issue we've had is the squirrels eating the cushions. So those are a little worse-for-wear, but everything else is great. And we get INTENSE afternoon full sun in our backyard, too! Hope this helps! Thanks so much for taking the time to respond. Glad to hear the table and chairs are holding up. I love the shape and lower profile back on the chairs, as well as the pop of color in the cushions. We had the same issue with squirrels in our last home – I used to think they were cute, but have come to terms with the fact that they're just rodents with fluffy tails. So, my dogs can chase them all they want. 🙂 Take care!